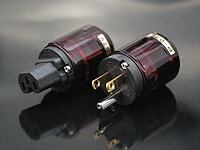 Oyaide plugs are not merely high grade; every step has been taken to realize the "State of the Art" for Audio. 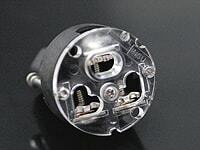 Every Oyaide product is totally made in Japan, even down to minute component. To maintain a high standard of quality and reliability, it is essential to have every production system under their direct and strict control. 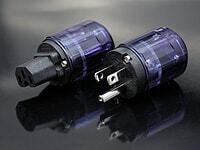 Oyaide products are designed for special markets where minute vibration from loose connection or due to imperfect choice of materials could become a vital failure. Oyaide carefully designs each and every component for easiness in assembling, simplicity and safety. 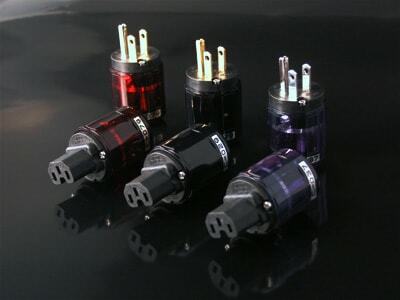 They carefully select materials for superior sound quality, durability and reliability. Given those requirements, cost factor is secondary while ignoring excess decoration and unnecessary complexity. Oyaide is proud to present a true value for your money and enjoyment. 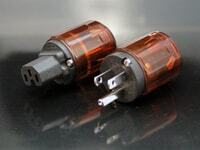 The basic material for Oyaide connectors is deoxidized Phosphorus Bronze (1.4mm thick) for strength and secure contact. When connected, they can take over a 7kg (15.43 lbs) load. The surface is thoroughly polished not once- but TWICE. Retentivity is over 30kg (66 lbs). Pull strength of the blade where the cable is terminated is over 30kg (66 lbs)... a result of considering the safety issues. This part is not plated, and is made of brass. super thick (1.5micron) 24K Gold plated directly onto the polished surface of the receptacle and blade. The polishing process is again applied (twice) on the 24K Gold plated surface, and then receives the final Palladium plating (0.3micron). This combination and thicknesses of the plating(s) leads to the final sound character. 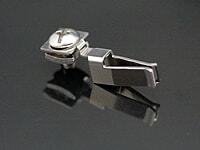 The quality of the polishing process also influences the sound quality. super thick (0.2micron) 24K GOLD plating directly onto the polished surface of receptacle and blade. The polishing process is again applied (twice) on the 24K GOLD plated surface, and then receives the final extra thick 24K Gold plating. Plating material and quality changes the sound dramatically. Where Rhodium sounds pure and strong, Gold sounds warm, soft and luxurious. high density PBT with 30% Glass filler mixed in for rigidity, stability against heat and high resonance absorption factor.Polycarbonate. 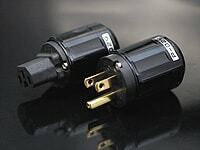 Oyaide IEC and male ac connectors.